The U.S. dollar index decreased against most other major currencies in late trading on Wednesday, as investors monitored the latest development of U.S.-China trade conflicts, Xinhua reports. The Chinese Ministry of Commerce announced on Wednesday a 25 percent charge on 16 billion U.S. dollars worth of U.S. goods, including auto and crude oil . The announcement came after the U.S. government released a finalized list of 16 billion dollars worth of Chinese goods that will be charged with higher tariffs. Meanwhile, the British pound was in focus as it dropped to its weakest level against the U.S. dollar in about a year, amid fears over the U.K.'s exit from the European Union. 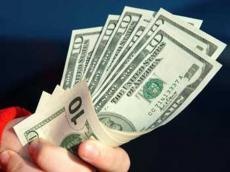 The dollar index, which measures the greenback against six major peers, decreased 0.13 percent at 95.061 in late trading. In late New York trading, the euro increased to 1.1618 dollars from 1.1594 dollars in the previous session, and the British pound was down to 1.2892 dollars from 1.2935 U.S. dollars in the previous session. The Australian dollar rose to 0.7438 dollar from 0.7423 dollar. The U.S. dollar bought 110.97 Japanese yen, lower than 111.42 Japanese yen of the previous session. The U.S. dollar decreased to 0.9929 Swiss franc from 0.9956 Swiss franc, and it dipped to 1.3010 Canadian dollars from 1.3066 Canadian dollars.